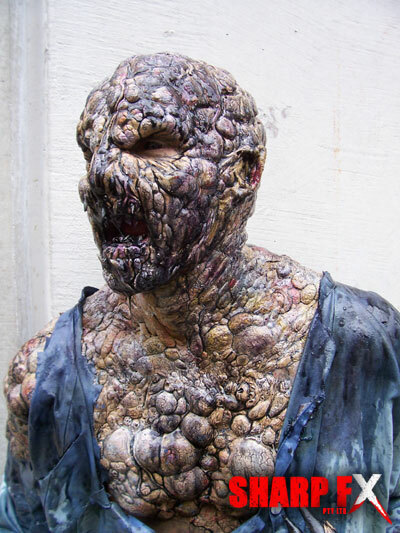 Special makeup effects for the feature film ‘The Dark Lurking’ were extensive. The Film was self funded by Production company Filmwerx77. To Help with funding the film was shot in four different stages over two years. 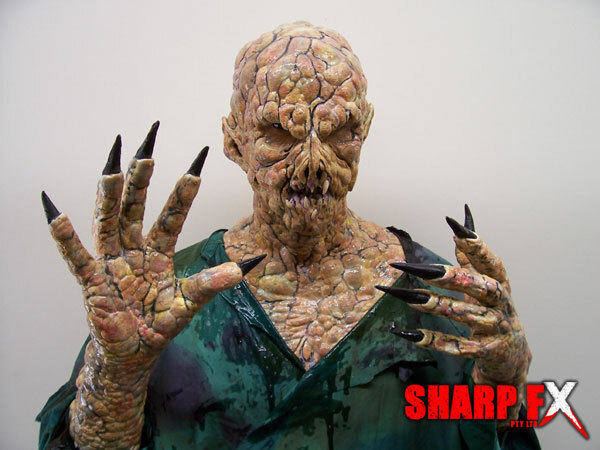 Sharp FX created all of the prosthetic special makeup effects, gore and creatures for the film. Something has gone terribly wrong at outpost 30, Eight survivors fight against an extremely dangerous horde of ancient creatures and one of the survivours is not who they seem to be, the darkness itself has taken human form. The Makeup FX were created in three stages. 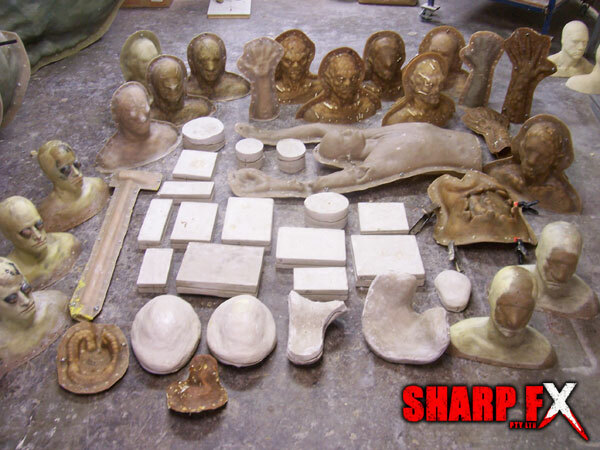 Life casts of the actors were taken. The largest creature was a full creature suit and it was used twice in the film with different colouring. 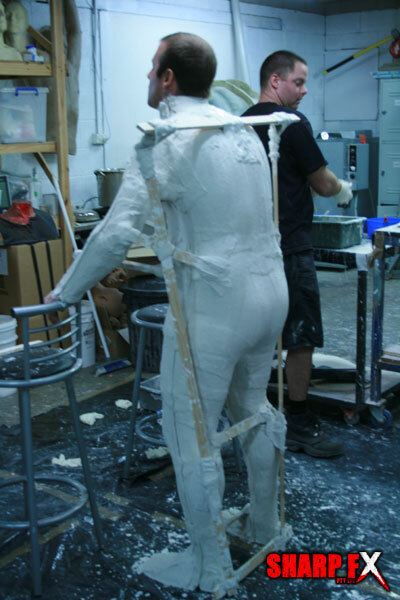 The main body of the creature was moulded as a two piece fibreglass mould with the actors body as a core. The head and hands were created separately. One of the effects in the film involves a scientist slowly transforming into a demonic creature. Stage 1 was just out of kit makeup with blood and slime. Stage 2 involved some small prosthetic pieces. Stage 3 was the actress in bra and pants covered head to toe in prosthetics and blood. The main horde of creatures were called Rabids and there were scenes with up to twenty creatures on screen at one time. Three hero Rabid prosthetics were created, which had interchangeable pieces so varying characters could be created. 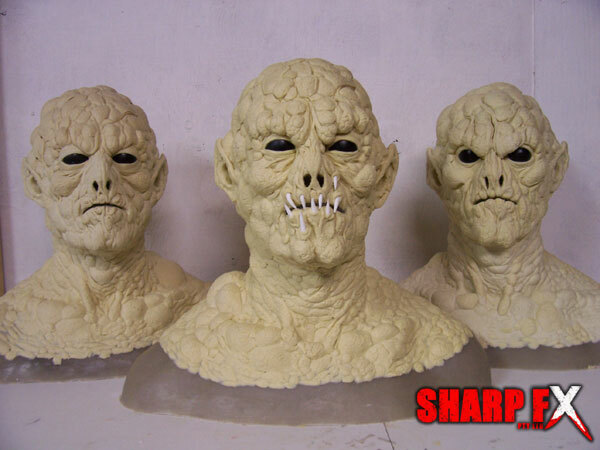 Three background pull over masks were also created and mass produced to use for the remaining horde. One pair of gloves was also created and mass produced for all Rabid characters to wear. Over the three stages of creature creation large numbers of moulds were made out of plaster, fibreglass and silicone. A large number of generic prosthetic lumps and bumps were also made for the Rabids to help create variation in their look. Other effects created included silicone bodies and body parts, intestines, tentacles, prosthetic cuts and bites. The Rabid special makeup effects were designed to have three slightly different looks to hint at the transformation from human to creature.